Housing Industry Association (HIA) is the official body of Australia’s home building industry. HIA represents the interests of the housing industry at regional and national levels. It has supported the Australian home building industry for more than 60 years. 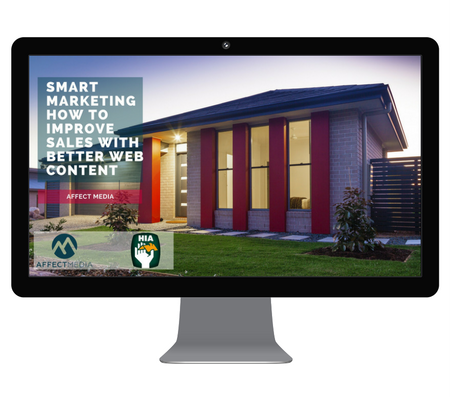 This project involved a half hour presentation to the HIA Business Partner Newtork titled, Smart Marketing, How to Improve Sales with Better Web Content. It included a hands-on, practical guide to smart marketing for people working in the housing industry.